Did you know kitchen fires are 3 times more likely to occur on Thanksgiving than on any other day?! DRI has helped hundreds of people recover from devastating fires during the holidays. DRI’s Jim Spinosa was on 7 News explaining what happens. On October 15th, 2009, Disaster Restoration Inc donated the proceeds from the 2009 DRI Golf Tournament to The Children’s Hospital located in Aurora, Colorado. The $4,550 donation will go to the Juvenile Fire Setters Education/Counseling Program at TCH. Last year TCH performed more than 11,000 blood transfusions and saved thousands of children’s lives. DRI’s Jim Spinosa, President, Don Ortiz, Controller, and Jamie Bruce, Marketing Rep made the presentation to Dr. Bradley Jackson, Director of the Juvenile Fire Setters Counseling and Education Program. DRI is a friend and sponsor of the Hopes Float nonprofit organization that helps provide an engaging, fun and accessible fishing experience for the elderly and disabled community along the Front Range of Colorado. Check out the 25 foot boat at the Denver Boat show! Disaster Restoration, Inc. (DRI) responded to the Southlands Mall in Aurora, Colorado on June 7th after a tornado touched down causing significant damage to the mall. The tornado was one of at least five tornados to hit Colorado that afternoon according to the National Weather Service. Heating and air conditioning units on the roofs of many of the mall buildings were damaged. Debris was scattered throughout Main Street, windows were smashed, and at least one car was overturned. Xcel Energy shut off gas service to the mall after reports of gas line leaks. DRI Emergency Response Teams moved in quickly to work with Forest City, the Mall Management Company to provide board up for several buildings as well as heavy equipment to access roof tops and remove debris and shattered glass. Glass panels at the top of the mall clock tower were damaged and had to be removed and boarded. Clean up continued for several days as crews worked to help individual stores clean up from flying debris and reopen as soon as it was determined to be safe for the public. DRI crews provided drying equipment to several buildings and contracted for repair work. The Mall re-opened for business on June 9th. On September 13, 2007, Governor Bill Ritter signed HB 07-1104 into law. This law prevents insurance companies from controlling – directly or indirectly – which restoration company you utilize to restore your property after a fire. Disaster Restoration, Inc. was pivotal in the testimony provided to the Colorado Legislature and its sub-committees. Competition is fundamental to the free market system. Unrestrained interaction of competitive forces will yield the lowest prices with the highest quality for everyone. The right of the individual to choose the restoration company that best serves their needs results in better quality and lower prices across the board. Insurance companies are in business to make a profit. When you file a claim, insurance companies have a conflict of interest. They have a responsibility to you, the policyholder, but they also have a responsibility to the shareholders to minimize the payout on your claim so they can make more profit. This conflict too often resulted in insurance companies taking advantage of policyholders. Property owners were forced – sometimes unknowingly – into using specific contractors who used sub-standard materials or shoddy workmanship to minimize the pay out of your claim. The insurance companies had the opportunity to resolve this on their own, but the financial motivation to maximize profit was so strong that they just couldn’t seem to help themselves. That is when the Colorado legislature finally decided to intervene. The legislature realized that, even if they want to do right by their policyholders, insurance companies can lose sight of that because of the pressure to perform financially for their shareholders. Disaster Restoration, Inc. has been in business for 25 years. After being on most insurance companies “preferred lists”, a decision was made to remove ourselves from those relationships. The reason…over time conflicts of interest arise in this alliance. Who does the contractor really work for? Where will the next job come from? If I don’t agree with the insurance company will I be removed from the “list? Our focus is to provide our customers with un-biased restoration and undue influences. Using this method, the client receives the best possible product and service coupled with the best price. 1. You have the right to choose your restoration contractor. You are not required to use the restoration firm recommended by your insurance adjuster. They may not require you – directly or indirectly – to use any specific business. They cannot coerce, threaten or incent you to use a particular company. Nor can they use disincentives of any kind to discourage you from using the restoration firm of your choice. Nor can they lie or misinform you so that you use their choice. They may provide you with a list of restoration companies to consider, but they must tell you that you are free to choose. 2. You have the right to have your claim paid promptly – regardless of who you choose to restore your property. Insurers may not tell you – or threaten you – that the failure to use a specific business may result in non-payment or delayed payment of a claim. In fact, they are required to ensure that the estimate is adequate to restore your property to a pre-loss condition within a reasonable time. They must promptly pay the fair market price for the restoration of your property; in accordance with your policy provisions, of course. They are not allowed to force you to use a contractor where they set the price. Finally, you are entitled to see a copy of the estimate upon which your settlement is paid. 3. You have the right to know if your insurance company has a business arrangement with your restoration company. Your insurance adjuster must tell you about any ownership interests in or affiliated business arrangements with a restoration provider when they recommend a firm in which they have a financial interest. A link to the law can be found via http://www.leg.state.co.us/. If you feel that your rights have been violated, you can file a written complaint with the Colorado Insurance Commissioner. For more information, contact the Division of Insurance at 303-894-7499. This is a thank you letter from Manuel Navaro, Colorado Springs Fire Chief, for our work during the Castle West Apartments in January 2007. On behalf of the City of Colorado Springs and the Colorado Springs Fire Department I would like to extend my thanks to Disaster Restoration, Inc. for the promp and professional service provided to our community during the fire at Castle West Apartments in January 2007. Without the support of Disaster Restoration, Inc. the impact of this fire would have been far greater to the victims and to the community as a whole. Your organization provided a tremendous resource which enabled efforts at fire suppression and investigation to proceed quickly and safely, and the victims needs were addressed in a fashion that should make all public agencies proud. The collaboration, cooperation and professionalism your organization exhibited provides a stellar example of how efficient this community, our neighbors and its partnering agencies are. The extent to which our professional friendships and relationships can come together exhibit a positive impact and outcome to an otherwise tragic event. Thank you again. If our agency can ever be of service or assistance to you, please don’t hesitate to ask. One call to DRI is all it takes to put your home or business back in order. With a background in construction, not just carpet cleaning, the team at Disaster Restoration, Inc. will take your project from start to finish. We’ll dry your home completely and replace any carpet padding, dry wall etc. We’ll board up your fire damaged building completelyand remove smoke residue, rebuild, and clean the contents. You won’t have to deal with multiple contractors or confusing information. Our friendly, thorough customer service staff will stay with you from beginning to end. Since DRI’s inception in 1986, the innovative approach of a single source one-stop-shop was pioneered. No other Rocky Mountain restoration firm can make that assertion. Disaster Restoration, Inc. is the oldest full-service restoration/reconstruction company in Colorado. From the simplest repairs to complex structural issues, DRI has the experience to facilitate, expedite and complete any project. Disaster Restoration, Inc. is a “B” Licensed contractor for all areas in Colorado as well as the majority of the entire Rocky Mountain Region. DRI uses advanced technology to dry out commercial wooden floors. With early notification, DRI can dry off the topside and underside of a wooden floor at the same time, reducing or eliminating buckling and swelling that could ruin the floor, requiring an expensive replacement option. The recent use of this technology on a 2600 square foot floor resulted in the drying and restoration of a floor valued at $45,000 for less than $2,000. Every minute is valuable when facing a wet floor, call DRI at 1-800-475-FIRE now to begin the drying process. DRI’s Emergency Response Units provide the critical first strike that minimizes loss resulting from catastrophe. This creates opportunities for quicker relief, reduction of business loss and stress relief. By using global wrap, inject-a-dry, ultra-sonic cleaning, smoke odor removal, air scrubbers, desiccant dehumidification, and other technology and techniques, DRI has become the Rocky Mountain’s superior disaster restoration provider. 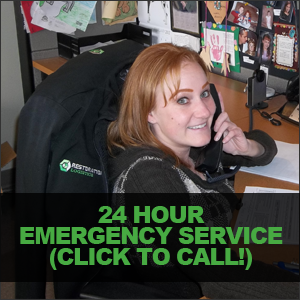 Equipped with the latest communications technology, truck mounted response equipment, and certified restorers on staff DRI’s Emergency Response Units have minimized business disruption, family inconvenience, and commercial loss. Highly reliable techniques and technology truley enhance the restoration process. Careful cleaning, training of personnel in recovery procedures and equipment care work to meet the specific needs of each customer. The ease and reduced cost of upgrading equipment has made DRI’s services attractive to risk and property managers and insurance companies throughout the Rocky Mountain area. Call 1-800-475-FIRE now to have our Emergency Response Unit deployed to your disaster site. They will respond and be at your home or business within the hour. After arriving on the scene of a sewage back up, a DRI project manager will make an assessment of the sewage damage and begin the recovery process. When dealing with sewage it is important to note that the affected area is highly contaminated and may not be safe for humans. There are three classifications when dealing with contamination of water. A sewage loss is classified as Category 3 water (by the IICRC standards – the Institute of Inspection, Cleaning and Restoration Certification) and is grossly contaminated and can contain pathogenic, toxigenic or other harmful agents – this is often referred to as Black Water. DRI will remove and properly address the sewage affected areas. It may be necessary to set up containment around the affected area to control the spread of contaminants as well as odor and/or dust control during the clean up phase. Once remediation of the affected materials is complete and any remaining residues are mitigated surfaces or matierials will be treated to return the property to its pre-damage condition. DRI may use a pro-microbial agent to treat affected areas – this agent uses a similar process in breaking down contaminants as waste treatment facilities use. This is an advanced treatment agent where DRI is leading the industry.